Looking to feed your Kindle or stack your bookshelf? Here’s some new releases for today. 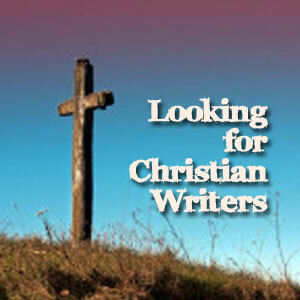 To take you from being an author to running a business as an author. 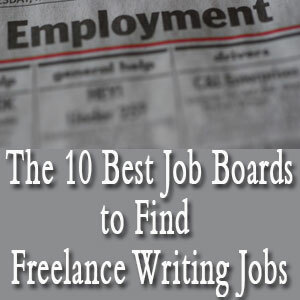 I was a business consultant for 13 years before I gave up my job in September 2011 to become a full-time author-entrepreneur. I worked for large corporates and small businesses, implementing financial systems across Europe and Asia Pacific. I’ve also started a number of my own businesses ”” a scuba dive charter boat in New Zealand, a customized travel website, a property investment portfolio in Australia as well as my freelance consultancy. I’ve failed a lot and learned many lessons in my entrepreneurial life and I share them all in this book. 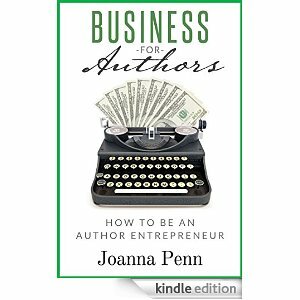 In the last six years of being an author, through tempestuous changes in the publishing world, I’ve learned the business side of being a writer and I now earn a good living as an author-entrepreneur. I’m an author because it’s my passion and my joy ” but also because it’s a viable business in this age of global and digital opportunity. Over the course of a fifty-year career, Donald E. Westlake published nearly one hundred books, including not one but two long-running series, starring the hard-hitting Parker and the hapless John Dortmunder. In the six years since his death, Westlake’s reputation has only grown, with fans continuing to marvel at his tightly constructed plots, no-nonsense prose, and keen, even unsettling, insights into human behavior. With The Getaway Car, we get our first glimpse of another side of Westlake the writer: what he did when he wasn’t busy making stuff up. And it’s fascinating. Setting previously published pieces, many little seen, alongside never-before-published material found in Westlake’s working files, the book offers a clear picture of the man behind the books—including his thoughts on his own work and that of his peers, mentors, and influences. The book opens with revealing (and funny) fragments from an unpublished autobiography, then goes on to offer an extended history of private eye fiction, a conversation among Westlake’s numerous pen names, letters to friends and colleagues, interviews, appreciations of fellow writers, and much, much more. There’s even a recipe for Sloth à la Dortmunder. Really. 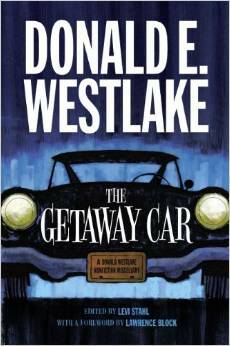 Rounded out with a foreword by Westlake’s longtime friend Lawrence Block, The Getaway Car is a fitting capstone to a storied career and a wonderful opportunity to revel anew in the voice and sensibility of a master craftsman. 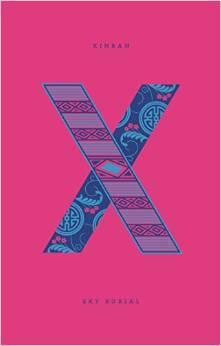 X is for Xinran. In 1994, journalist and author Xinran met a Chinese woman with an extraordinary story. For over thirty years, since the 1950s, Shu Wen searched the mountains of north Tibet for her husband, a Chinese military doctor, who was missing in action. Her moving and unforgettable life story brilliantly recreated by Xinran, gives insight into the landscape, religion and people of Tibet. At the same time it illuminates the complex and emotional relationship and history between the Tibetans and Chinese. Traveling thousands of miles, and taken in by a Tibetan family, Shu Wen lived a nomadic life through numerous seasons with silence and simplicity, motivated by her search for her husband. An unforgettable and ultimately uplifting tale of loss, loyalty, courage and survival, above all, Sky Burial is an epic and enduring love story. Be the first to comment on "New Releases for September 24, 2014"